Career success is a most important life requirement for the young and old. A person who has toiled hard, earned rewards and has had a progressive career will look back with a smile of satisfaction in the December of his life. In fact, the concept of progress is incorporated in the definition of career: “an occupation undertaken for a significant period of a person's life and with opportunities for progress”. Hence, it is vital to have a career building attitude right from school days. Career orientation is a crucial part of student life. Among various careers is the challenging and interesting profession of public relations (PR). It takes many attributes to practice and gain success in the engrossing organizational activity of PR: tact, proaction, conflict management skills, communication skill, media suaveness, patience, perseverance, relationship management talent … and finally the most important tool in a communicator’s kit – SMILE! The smile is an important tool in a professional’s life. It is rightly said, you are not well dressed for the day, until you wear a smile! The smile is defined as a facial expression formed primarily by flexing the muscles at the sides of the mouth. The best form of smile is the Duchenne smile: where the smile includes contraction of muscles at the corner of the eyes. The Duchenne smile is considered the warm and genuine smile. The smile is essential for socializing, breaking the ice and creating warmth in a relationship. The Pan Am smile or Botox smile is considered a fake smile – often presented by hospitality personnel and airhostesses, as a part of their communication process. Hence, it is vital to know how much to smile, where to smile, when to smile, and to whom one has to smile. Very often smiling at strangers is viewed suspiciously; hence, ‘smile’ is a useful tool that needs to be applied with tact. Dental science deals with the smile concept with absolute seriousness. Cosmetic dentistry analyzes the science of smile and applies corrective techniques to enhance beauty of a person by improving the smile. In fact, beauty is defined as that which gives the highest degree of pleasure to the senses or to the mind… and a smile surely adorns the beautiful face. A smiling professional has greater scope for success in managing his day-to-day challenges. So professionals who help create a good smile, like cosmetic dentists, are gaining popularity! An attractive smile, often described as the pleasing positioning of muscles of facial expression, which radiates pleasant sensory stimuli and creates a feeling of well-being in the wearer and spectator, is essential for acceptance of a person in the professional or social milieu. The smile sets the start for pleasant, progressive and productive working relationships. This is in fact a professional power smile, for powerful results! A raft of studies by Ron Gutman (ted.com) have shown smiling is a predictor of lifespan and smiling improves quality of life! Even the unborn in the womb is recorded smiling in 3D ultrasound studies. 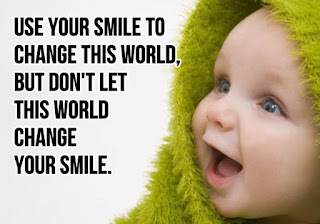 Uppsala University, Sweden has researched the smile phenomenon, these researches have shown that it is difficult to frown when you are surrounded with smiling people, no wonder; it is difficult to frown when you are among smiling kids! Other MRI (Magnetic Resonance Imaging) studies have shown smiling stimulates the reward mechanism in the brain – even better than the pleasure inducer: chocolate. Penn State University, USA has researched and inferred that when you smile, you appear LIKABLE, COURTEOUS AND COMPETENT. 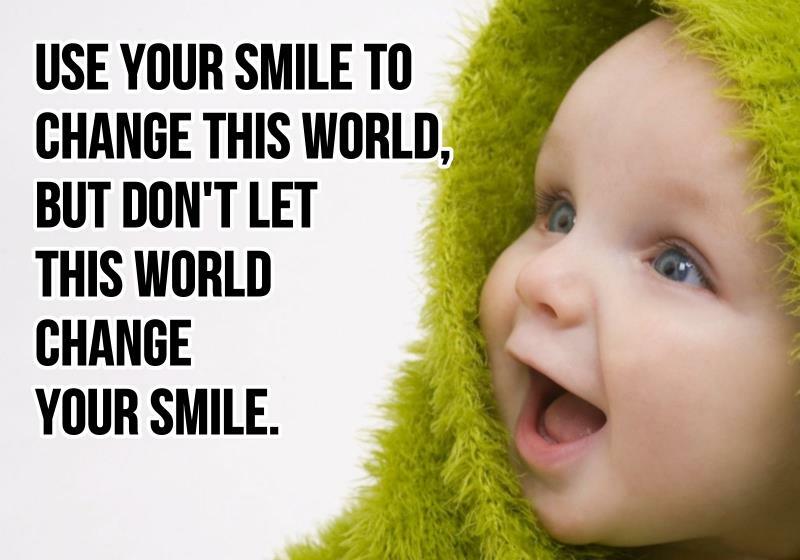 Smiling is evolutionarily contagious: smiling spreads happiness. This creates the setting for a successful professional or social encounter. Wishing all readers a happy smiling successful life! Mother Teresa said: “I will never understand all the good that a simple smile can accomplish.” What’s the catch? Only that the smile you give has to be big, and genuine! Thanks for reading, please scroll down and read all other post!